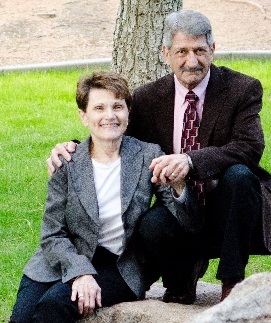 New Creation Ministries, Inc was founded in 1980 by Sal and Pam Giardina as a Non-Profit Teaching Ministry. We have IRS 501(c)(3) designation. Sal & Pam are Spirit filled Christians who have been teaching for over 30 years. Our Ministry is a testimony to the Truth and Integrity of God’s eternal Word. NCM is provided on a donation basis to: Churches, youth, collage & career, campus groups, community centers. Providing answers to questions regarding the fossil record, so-called evolution of man, age of the Earth, Genesis account of creation… All of these areas can be addressed to show that the True facts of science are always in agreement with scripture. These are not “side” issues as they directly impact people’s perceptions of the integrity of God’s Word. Our government, education and the scientific community at large has convinced millions of people that the bible in no longer reliable or relevant in our “modern” society. This is primarily being accomplished by discrediting the foundation of the Gospel which is found in Genesis. As an ordained minister, myself, I have been teaching on the subject of science – creation – and the bible for many years. Our multi media Power Point presentations show that God’s creation account in Genesis is in fact not refuted in any way by the true facts of science. Genesis stands, as Jesus Himself endorsed, as the foundation of the Gospel. (Luke 16:31) You may view samples of our presentations on this website. Professional background in Engineering and Applied Earth Sciences. Former Registered Professional Geology Consultant – State of AZ. Instructed Undergraduate geology courses at Syracuse University and Wayland Baptist University at Luke AFB.